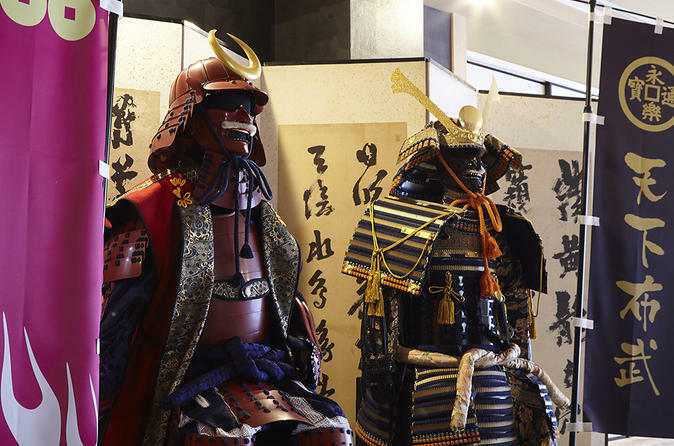 Immerse yourself in Japan’s ancient traditions by going on this Samurai experience in Osaka. If you’re traveling with children, it’s the perfect way to keep them entertained, as costumes are available in lots of sizes and styles. No need to worry about carrying your belongings—lockers are provided when you get changed. Learn about the history of samurai, get a demonstration of some moves, and enjoy plenty of photo opportunities too. 1:00pm and 3:00pm on Wednesday, Thursday, Friday, Saturday and Sunday. * Please be sure to write preferred time in the "Special Requirements" field.